BJP Supporters Tweet They Are 'First Time' Voters for Lok Sabha Elections 2019. Copy-Paste Problem? In what appears to be a classic case of copy-pasting job gone wrong, BJP supporters tweeted out the same text saying 'As a first time voter....' along with the video. With one day to go before the first phase of the Lok Sabha Elections 2019 begins, political parties have stepped up their game to get people to vote for them. The Bharatiya Janta Party (BJP) on April 9th launched its #MyFirstVoteForModi campaign, trying to appeal to a very specific section of voters: people voting for the first time, as the name suggests. The target audience for the campaign are voters who just turned 18, which is the legal voting age, to 23-year-old or younger who didn't get to vote in the last election, as they were underage. 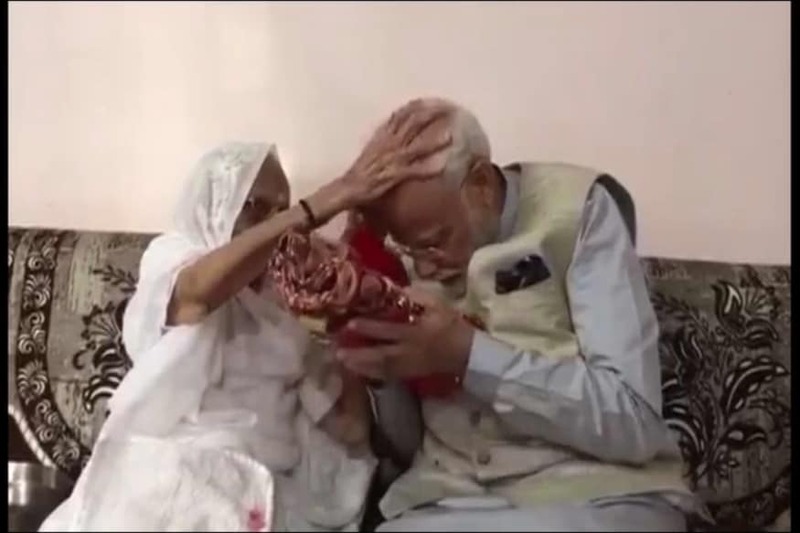 The campaign for this target audience included a video, created in a way to appeal to this specific target age-group, and asked people to 'take the pledge' and vote for Prime Minister Narendra Modi, and tweet it with the hashtag #MyFirstVoteForModi. Multiple people, including BJP politicians, started tweeting the video to promote it. Here's the catch: They all pretty much used the same text making them sound like they are 'first time' voters. In what appears to be a classic case of copy-pasting job gone wrong, BJP supporters tweeted out this text along with the video. "As a first time voter, I’m aware of the power of my vote and the strength it can lend to PM Modi’s mission to build a New India. I pledge to make my first vote count by voting for the one, one and only one who has got things done." Netas, who have perhaps voted several times, tweeted the video saying, "As a first-time voter." Only problem: they're not. The irony of this copy-pasting wasn't lost on Netizens. But it wasn't just BJP party members who made the copy-pasting error. Ben Nimmo, a Senior Fellow for Information Defense at the Atlantic Council's Digital Forensic Research Lab also found that several people had tweeted the same text. Nimmo created a Twitter thread analyzing how some people had tweeted the same text, over and over again, sometimes retweeting it multiple times. Or how about @Deepakk64155053? Created yesterday, 173 tweets since. Per @TwitonomyApp, all but one was a retweet. The exception was word for word the same as posted by many other accounts. At that stage, it's a numbers game. Very few followers, high volume of posts, all (or almost all) retweets. Trying to get spotted by the algorithm, more than actual human users.